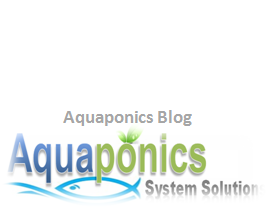 DIY Aquaponics systems have gained a respectable popularity in recent years and I’m not surprised! 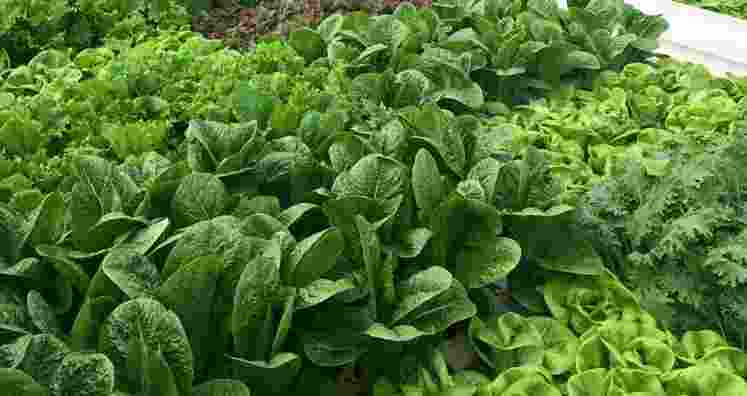 I mean, what better way to grow your own organic food at home…the greens grows bigger, faster and the best part is, you don’t even need to water them. You even get to grow your favorite fish, prawns and crayfish together with your favourite hydroponic plants at the same time. How great is that! The system basically takes care of itself with the help of nitrifying bacteria, converting fish excretions into nitrates. And nitrates is really nutrients for the plants. This is a close and clean system to have in your backyard, balcony in your garden or even in the basement of your house. This is where you plant your favorite greens and it should be half the size (volume) of the fish tank. 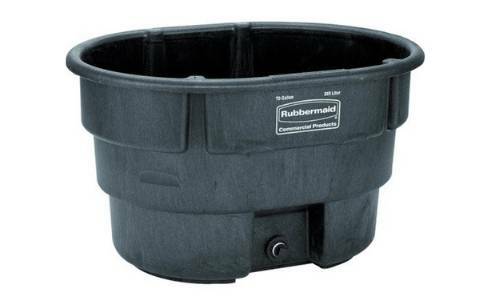 The growbed can be a newly purchased plastic container, or to save money, any unused container you may have stored in your garage. But make sure it’s clean and have not been used with toxic substances or the sort alright. The growbed also acts as a bio filter in smaller systems. For our sample system today, I’m using a 50 gallon Rubbermaid stock tank. Obviously this is where the fish or marine animals will be raised. The same, you can either buy new or use spare tanks you may have at your disposal. You can even use your existing fish pond or fish aquarium for this purpose as well. 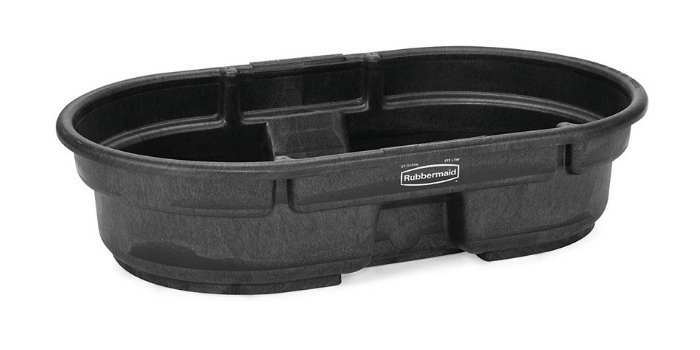 This will make building your aquaponics system even easier and faster too. I’m using a 100 gallon Rubbermaid stock tank for our purpose today. Now, you will need a means to transfer the nutrient rich water from the fish tank to the growbed. This step is critical to the success of aquaponics systems, as this is how the plants get nutrient rich water from the fish tank. For the system we’re building today, this will be taken care of by a submersible aquarium water pump. The most popular aquaponics fish choice is, freshwater fish. This is primarily due to their tolerance to crowding, and a much more variety of plant choices that can go with fresh water compared to salt water. Tilapia tops the chart here, as they are tasty, hardy and they can grow to harvest size 3 to 4 months. 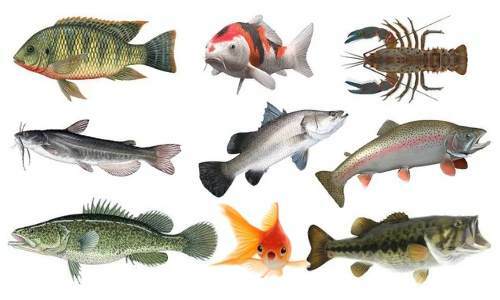 Other popular edible fish choices include; silver perch, eel-tailed catfish, barramundi, Murray cod, jade perch, catfish, rainbow trout, common carp, largemouth bass, striped bass and even koi & goldfish. The fundamental operating philosophy of an aquaponics system depends entirely on the symbiotic relationship between the fish excretions, bacteria (Nitrosomonas and Nitrobacter bacteria) and the plants. This is what happens; the good bacteria converts ammonia from fish excretions into nitrates, which is friendly to the fish and is also nutrients to the plants. Therefore, in order for the system to work, you must introduce the fish water to the plants…one way or another. For our flood and drain diy aquaponics system with a media-filled growbed to work, we will need to decide on the media to use. Firstly, we do not use soil in aquaponics, and for our chosen system to work, we will something to support the plants. You can use, lava rocks for this but I prefer hydroton for its light weight and water retention properties. 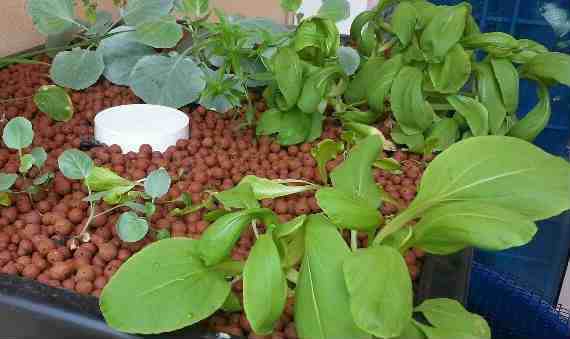 Basically, plants that are good for hydroponics are good for aquaponics as well. Generally, all plants that grow in soil, do well with aquaponics, that include banana and papaya trees. Plants that do exceptionally well grown side-by-side include tomatoes, strawberries, salad greens, peppers, lettuce and herbs. However, avoid blueberries, azaleas, calendula, chrysanthemums and zinnias. They do better with soil above 7.0 pH. Ok, first of all, let’s get your tools, materials and supplies ready. 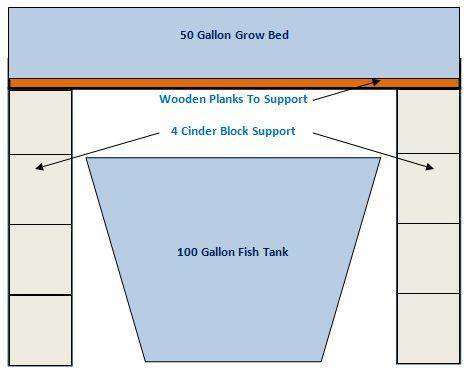 Please note that I am using my sample project as an example with a 50 gallon growbed and 100 gallon fish tank. PVC pipe cutter or a hacksaw. Drill with 32mm Hole Saw for the growbed. 7mm drill bit (for growbed strainer and silencer). 5mm drill bit for the “Leak Hole” in the bulkhead. 10mm-15mm drill bit for bottom end cap. 50mm to 25mm PVC reducing coupling. Next, we’ll set up the tanks with the cinder blocks as the support. This option is easier to do compared to angled bars as shown in the diagram above (angled bars provide much better flexibility in saving space). Please see the diagram below for illustration on how to set up the cinder blocks. There are four cinder blocks on each side, stacked on top of one and another with a two wooden planks across to support the growbed. There are 2 main sizes in use here. The 1” PVC pipe and the ½” PVC pipe solely for the aeration line as shown in Figure 1 below. The aeration line is also used to regulate water flow rate into the growbed for proper functioning of the siphon. 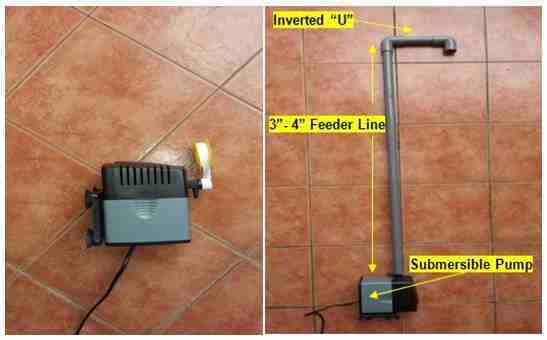 The length of the 1” pipe will depend on height between the submersible pump and the inverted “U”. The recommended pump capacity for this system is 2000 liter/minute (530 GPH) for the given height. Other pump variants here. The automatic siphon is not the easiest to DIY, a continuous flood system is a much simpler system to build, but the automatic siphon is most reliable and trouble free once it is properly set-up. 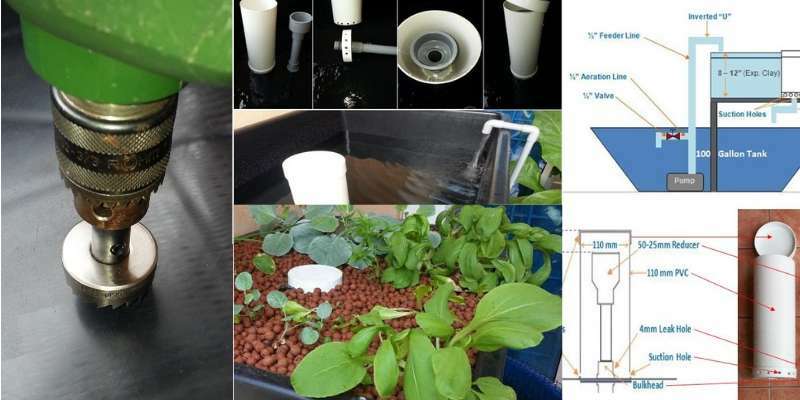 And what I am sharing with you today is Aquaponics System Solutions breakthrough siphon design that is user friendly and never fails. The siphon design consists of a 1” PVP pipe, 11” long that is connected to a 1” bulkhead at the bottom and a 50-25mm reducer at the top. 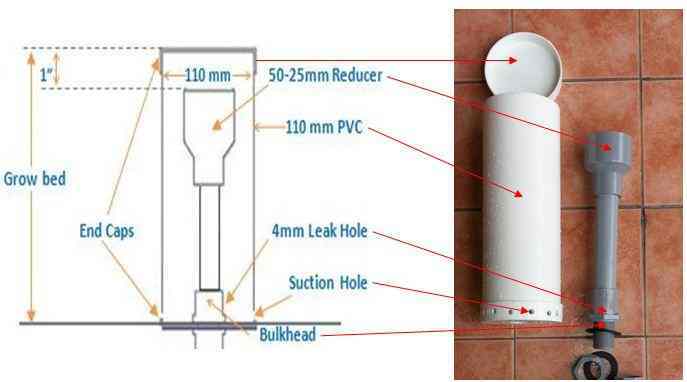 This is placed inside the 110mm PVC that is 12” long with 2 end caps at the top and bottom as illustrated in the diagram below. The 7” long and 5” in height return line as shown in “Figure 1” above, completes this automatic siphon construction. Once properly set-up the siphon would start to drain water from the growbed at the predetermined 11” growbed height. Your system should be draining four times per hour from now on. Now is a good time to introduce our preferred media, Hydroton into the growbed. As mentioned earlier, Hydroton is my favourite media to use due to its light weight and water containment properties. Other popular media include lava rocks and also stone pebbles. I strongly advice to first, clean the hydroton before introducing water into the system. They can be really muddy, after all hydroton is made of clay pebbles. And for my sample system, you will need 200 liters. With the hydroton in place and cleaned, now is the fun part! It’s time to introduce water into the system and make sure everything works as it should. Check for leaks in the PVC and that the siphon is working as it should. Now, that water is in the system, get your system “cycled”. This simply means establishing your beneficial bacteria populations within the system so that they can convert the ammonia wastes into nitrates so the plants flourish with them. You can find out more information on nitrogen cycle here. This will take between 1 to 2 weeks with natural cycling, or you can add off the shelf Nitrifying Bacteria tablet to speed up the process. Remember to carry out regular water testing with a water test kit, to establish good water chemistry balance; (i.e. pH, Ammonia, Nitrite, Nitrate and Dissolved Oxygen). More about water chemistry here. 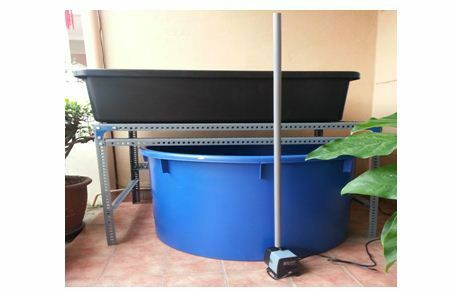 Once you have achieved the water chemistry balance, it’s time to introduce fish and plants to your diy aquaponics set-up. Start off with fingerlings, and the rule of thumb here is 1 pound of fish for every gallon of water or 1 inch of fingerlings for every gallon. Simplest is to use tilapia fingerlings or baby gold fish. As for the plants I always start off my systems with plant seeds, and yes they will grow trust me! But, if you prefer you can always use plant seedlings for this purpose. The first batch of greens may not look as good but, they taste darn good! So there you go! 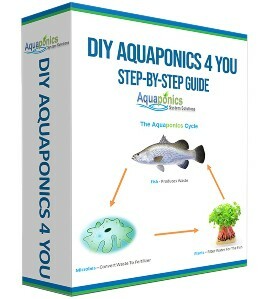 You would have built your very own diy aquaponics following steps 1 to 7. 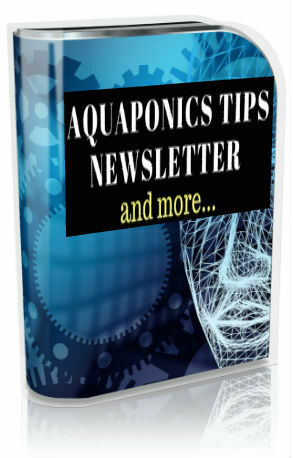 Hope this has been helpful to your journey in to the aquaponics world. Please help to like & share this blog if you find it useful.